All the tourists and locals alike know that Boston's North End is the place to go for Italian food, yet most of the time I go there, I end up at Neptune Oyster for a lobster roll, instead - I can't help it! Sure, I've had my cannolis and I've been to a couple of the Italian places there, but for the most part, North End remained fairly unexplored to me. 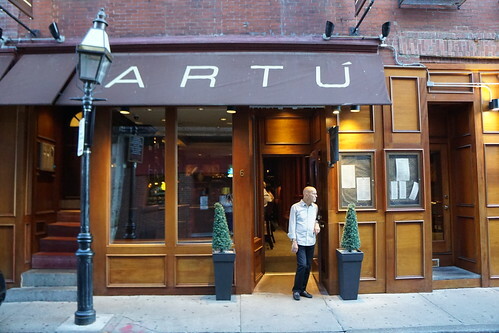 But thanks to a recent blogger dinner at Artu, I got the chance to experience another part of the North End. 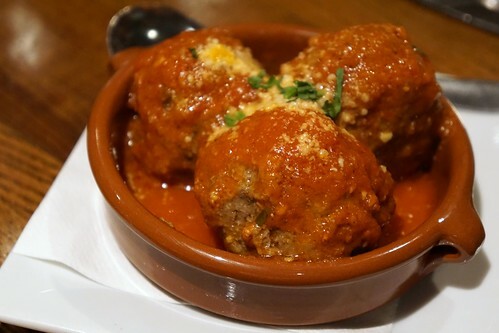 I love meatballs when the texture is right, just like the ones here. Tender homemade meatballs with traditional Italian tomato sauce - why mess with something so simple and perfect! 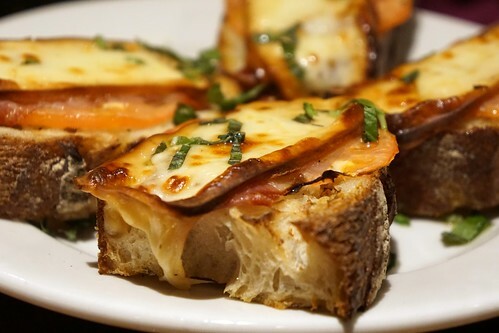 I loved the smoked mozzarella on these! Artu also had some solid cocktails, and the bar is open until 2 AM every day. Every day! 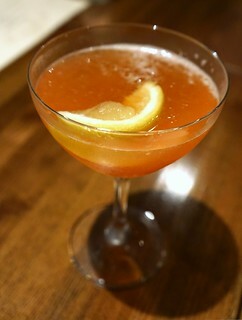 That's one of the latest places to grab in the drink in the area, especially on a weeknight. I stuck with the classics, which they do very well. 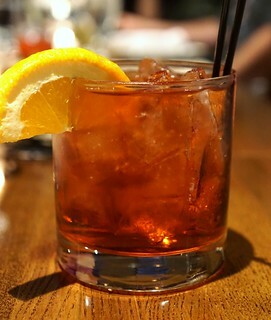 As I said, a well-made Negroni! 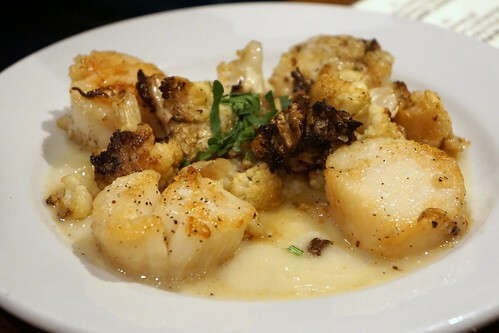 The scallops were fresh with a nice texture, but the cauliflowers also deserve the attention in this dish. 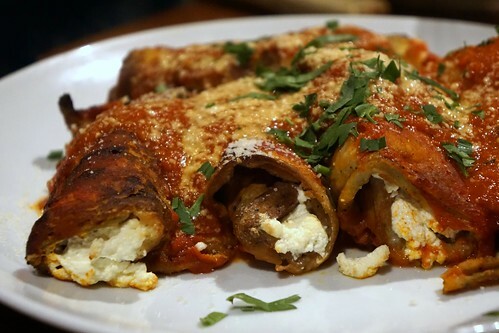 Eggplant rollatini stuffed with ricotta. The eggplant slides had been fried, and the light crispiness added that extra touch to the dish. 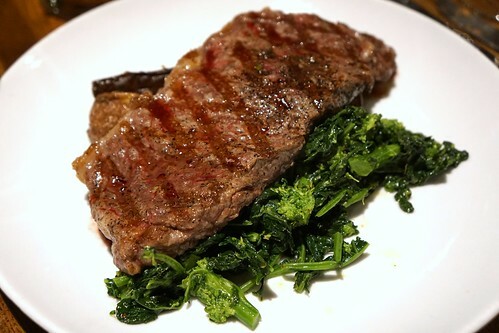 The bistecca here is a thinner cut of steak than what you'd find at American steakhouses. With the generously large size, there's definitely no portion issue, but harder to get one that's still red in the middle. It was still a great steak, though. 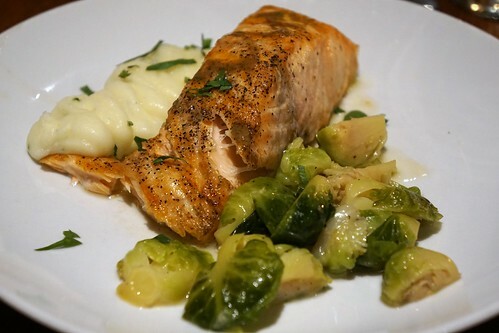 I didn't try the salmon, but the other bloggers seemed to enjoy it. 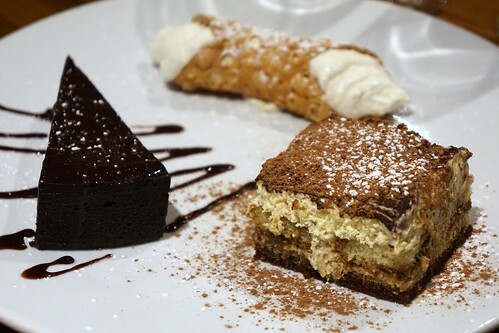 For dessert we shared a sampling of cannoli, tiramisu, and flourless chocolate cake. I liked both the chocolate cake and tiramisu! 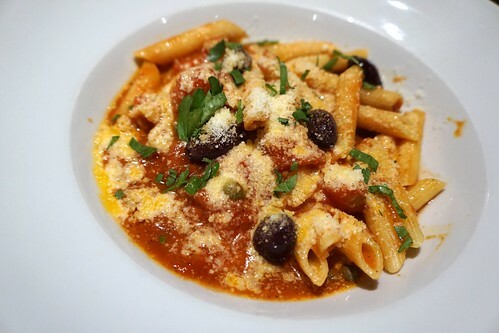 Artu serves up traditional, rustic Italian cooking and you can see how it's survived in the North End since 1992, even with all the other Italian restaurant competition in the neighborhood. 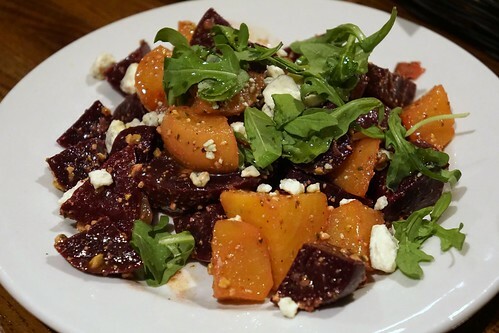 The food is good, add to that a good bar program that's open late as well, Artu makes for a good choice for dinner in the North End. The atmosphere is cozy and on the quiet side, a nice respite from the crowd that tends to gather in the North End.